What Is The Best Allergy Test For Dogs? Although allergies in dogs are rarely life threatening, they can make life pretty miserable for your furbaby. This is because allergies can have a wide range of effects, from simple but highly irritating skin rashes and itching, to respiratory problems, watering eyes, swelling and significant discomfort. While in most cases it is not possible to detect all allergies, there are some tests that you can ask our veterinarian to run that will help you to identify some of the allergens that could trigger a reaction from your dog. Much like humans, dogs can suffer from a variety of different allergies as these can be divided into different categories. Environmental allergies make up the majority of hypersensitivities seen in dogs in the U.S. They are often referred to as atrophy and are triggered by something in the area where your canine pal is spending time. Common environmental allergies include tree and grass pollen, dust and house mites. In many cases, environmental allergies become worse during certain seasons where the allergen itself is more prevalent. While it is possible to prevent fleas and ticks, even a short lapse in preventative care can see your furbaby being affected by these pesky parasites. Unfortunately, both have saliva that contains toxins capable of triggering an allergic response in your dog. In fact, flea allergy dermatitis is a leading cause of canine visits to veterinarians every year. 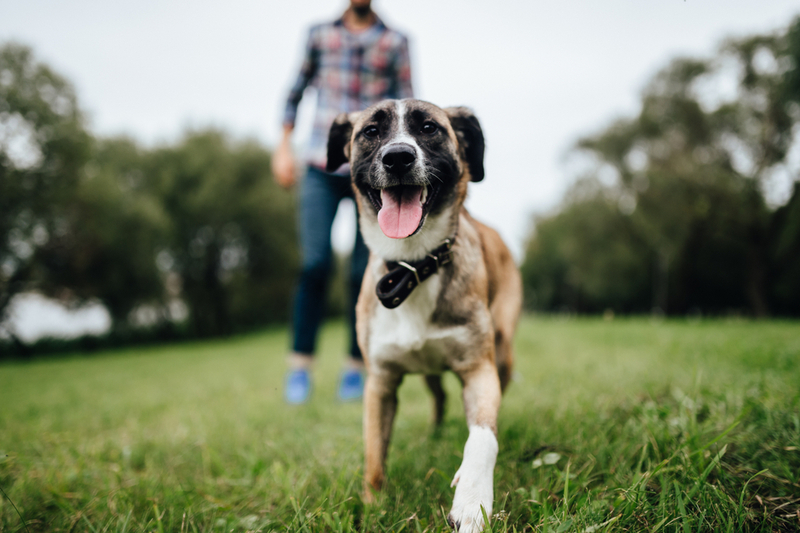 The symptoms of a bite allergy are not dissimilar to that of any other dermatological problem, including a persistent itch, hair loss and skin irritation around the bite and your dog may feel a need to keep licking/grooming the affected area. 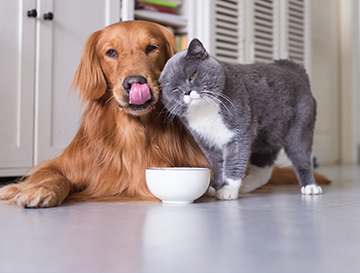 Your dog is probably fairly unfussy about what he eats, but this doesn’t mean that everything that he is prepared to chow down on is good from him – far from it. Owners have a tendency to share their human food, not realizing that there are some things that their furbaby just shouldn’t consume. Typical food allergens that affect dogs are soy, wheat, meat and dairy and these may be identified both through skin changes and abnormalities with your pet’s usual bowel movements. Your canine’s skin is just as sensitive as your own and this means that if he brushes up against something that he is hypersensitive to, his immune system will probably trigger a response. In most cases, these contact allergies result in skin-based effects such as a rash, itching and swelling. 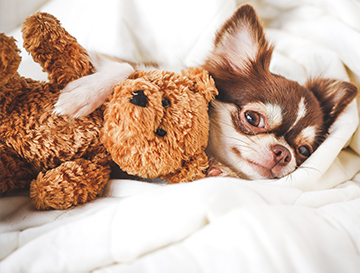 There can be a wide range of different things that your pet is allergic too, from plants and flowers to a new washing powder used on her bedding or favorite blanket. There are two different types of dog allergy testing and which our vet will recommend will largely depend on the symptoms that your dog is experiencing. These tests are blood panels and intradermal skin testing. These are best suited to environmental allergies and should be performed during seasons or times when the allergy is likely to be the worst. This will help generate a more accurate result. If you suspect that your dog might have a bite allergy, then a quick examination of his body for parasites including fleas and ticks will probably reveal if they are indeed the trigger. Contact and food allergies are best identified using a process of elimination, closely monitoring what your dog eats or what he comes into contact with. This is obviously a fairly lengthy process and requires patience and accurate recording. Our veterinarian will work with you to implement this elimination program and will support you throughout. 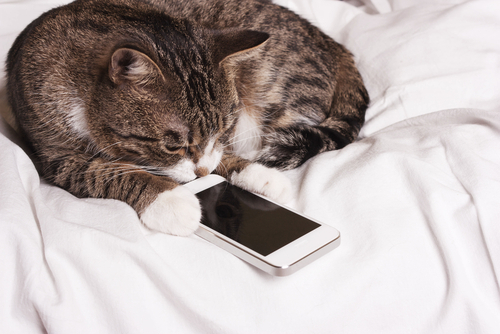 Allergies may be a nuisance, but by identifying them wherever possible, you can help your precious pet to avoid some of the allergens that trigger an unpleasant response. For more information and support regarding allergies in dogs, please do not hesitate to contact our clinic.